Community Birth Walk on the Beach! **note correction – we are not meeting at Crab Cove, as originally stated.Roberts Beach is right around the bend. ** Meeting Location: If you search in Google, you can place “Robert W Crown Memorial State Beach, Alameda, CA” for the exact location. Directions: 8th Street meets Westline Dr x Otis Dr. in Alameda. Park in the big parking lot and we’ll meet by the restrooms at the beach. Notes: We will be walking along the Shoreline path, which is stroller friendly. Plan to be there at 10:30a! We will chat from 10:30 – 11:00a, and leave for walk at 11:00a and head toward Shoreline Drive. RSVP welcome but not required. This entry was posted in Uncategorized on 3.3.2013 by admin. If you are or have any expecting mothers/parents who may be interested, please feel free to forward this e-mail. Thank you for all you do to get the next generation off to a healthy start! This entry was posted in Uncategorized on 20.2.2013 by admin. A fun, informative and affordable two-hour class, using current national guidelines. 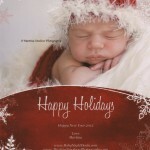 Perfect for parents, parents to be, nannies, and babysitters. * To be confident that you can handle an emergency for infants to pre-teens. * To recognize an infant, child or pre-teen in distress. * To perform emergency measures for choking. * To perform CPR on infant or child who is not breathing or is without a heartbeat. * Hands-on techniques, working with infant and juvenile manikins. * Safety Tips and CPR/Choke-Saving Reminder Sheets. * Certification Card issued at the end of class, through CPR Family. Easy for Spanish speakers – written material in Spanish provided. Infant massage classes are a fun way to learn how to help sooth your baby, stimulate growth and development, learn to understand your baby’s non-verbal language and much more. Classes offer a supportive group environmnet where parents can share experience and learn from each other while having fun. A typical course consists of 5 sessions of 60-90 minutes in duration. Each session is held at weekly intervals to allow you and your bbay to absorb all the information and get used to the massage. The recommended age for group classes is from birth to one. to see if room is avaialble and reserve a spot. The instructor, Susan Galloso is a graduate oof the Acupressure Institute in Berkey where she began her studies n woman’s health tui na massage and advanced anatomy. She completed her doula training through DONA in 2010 under the supervision of Carol Shattuck-Rice. Susan has enhanced her skills further with her Heart & Hands Midwifery programs insturcted by Elisabeth Davis, Pre and Postanatl massage certification by Carol Osborne, and Infant Massage Educator certification through lAlM. This entry was posted in Uncategorized on 13.2.2013 by admin. Geared to expectant and new parents, this infornation night will cover all the vaccines recommended for infants up to 12 months of age as well as understanding the options available. 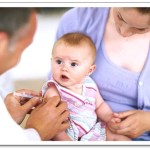 How to lomit the side effects of vaccinations? How do I enhance my child’s immunity naturally? What is th ebest time to vaccinate? What if I choose not to vaccinate? This entry was posted in Uncategorized on 7.2.2013 by admin. Are you interested in learning what a Doula is, how to hire a Doula, or what a Doula can offer your birth and new parenting experience? Each event will feature local birth and postpartum doulas. You will have an opportunity to hear a presentation about birth and postpartum doula services and ask any questions that you might have about pregnancy and birth resources. It is an informal, family friendly event so feel free to bring partners and or friends who might be at your birth. Following the doula presentation there will be an opportunity to mingle and talk to doulas and other expecting families on an individual basis. This entry was posted in Uncategorized on 6.2.2013 by admin. East Bay Lactation Associates is excited to announce a new monthly workshop for moms planning their return to work. The class will be held in our office at 828 San Pablo Ave., Suite 110, Albany. Moms can email me to sign up. We suggest that you take this class after breastfeeding is well established and you are planning for your return to work. when can you fit in pumpings? This entry was posted in Uncategorized on 18.1.2013 by admin. This entry was posted in Uncategorized on 22.12.2012 by admin.